Offering sweeping views over switchbacks and through tunnels, you'll experience life in the slow lane along Iron Mountain Road. 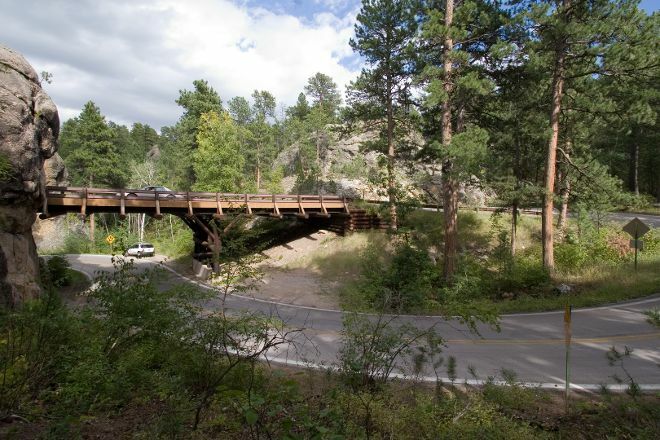 This 27 km (17 mi) stretch of scenic road was designed specifically to slow drivers down so they could enjoy the Black Hills and the road's architecture. Consisting of a series of severe switchbacks and pigtail bridges that twist up and around over the road below, this route is fun to drive at a leisurely pace. The road stretches from Mt. Rushmore National Memorial to Custer State Park. At various spots along the way, it is possible to see one or more of the presidential faces of Mt. Rushmore framed through the opening of a tunnel. Keep your eye out for antelope, deer, and mountain lions--you might even come across a herd of buffalo crossing the road. 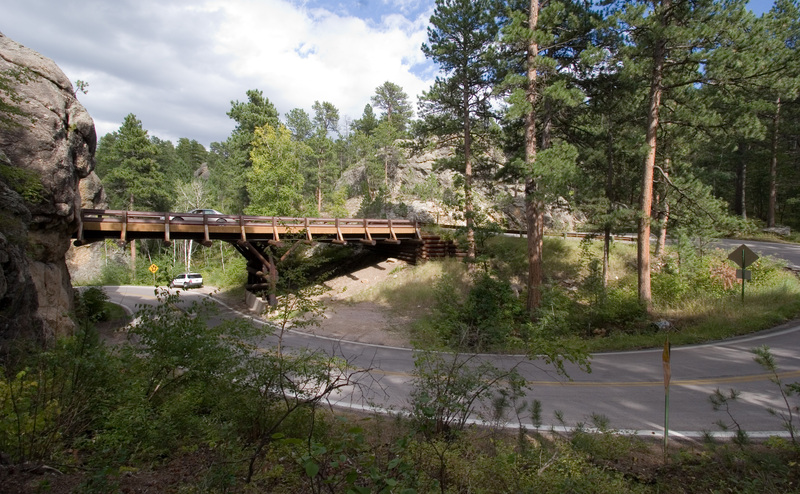 To visit Iron Mountain Road and other attractions in Custer, use our Custer trip planner .